Vivian, Mitzi’s deadbeat biological mommy. She took care of Mitz for approximately 3 weeks before putting her up for adoption because she couldn’t support her financially… that, and she honestly didn’t want the kid in the first place fff. 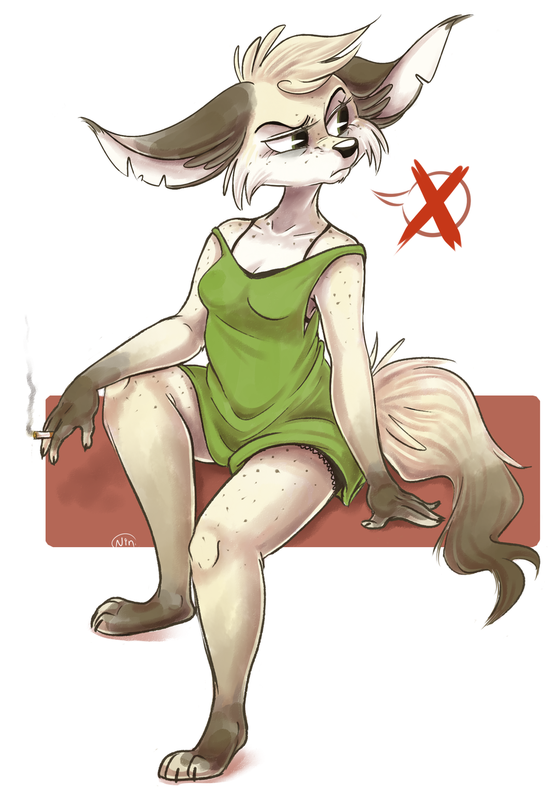 Mitzi tracked her down several years after that and now she calls her up every so often to talk her ear off or swings by her house unannounced to be a nosy little pest.. and is pretty oblivious to the fact that Vivian finds her annoying and doesn’t really want anything to do with her. But that’s Mitzi for you. Other than that, Mitzi’s daughter Hollie was lucky enough to inherit many of her lovely personality traits. How nice.